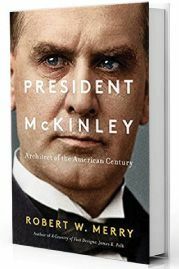 By cultivating the Republican Party’s national brand, McKinley “transformed presidential politics,” said Evan Thomas in The New York Times. More meaningful, though, was his transformation from protectionist to globalist after his 1896 election. Realizing that an industrial economy needed overseas markets, he annexed Hawaii, went to war to push Spain out of the Caribbean and the Philippines, and established an open-door policy with China. Mark Twain slammed McKinley’s imperialist adventures, but the president felt he was spreading Christian values, and the balance he struck between projecting power and serving humanitarian ends set the guideposts for future U.S. foreign policy.